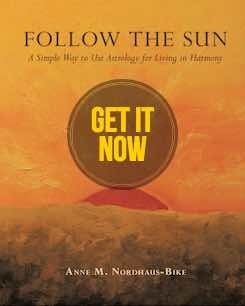 Every year, the Sun moves into Taurus around April 19, where it stays until about May 20. 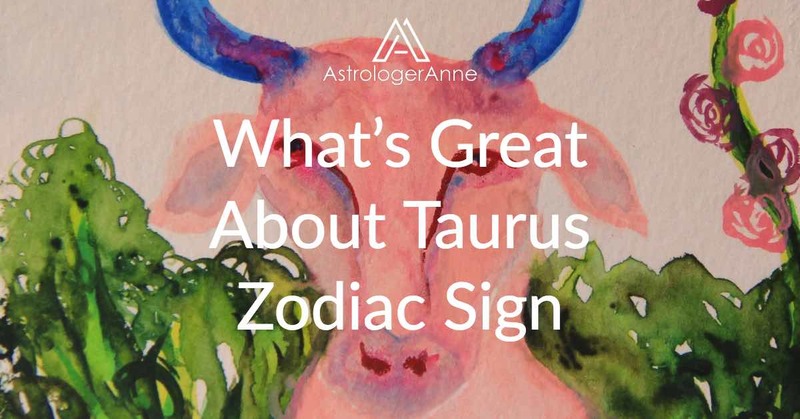 The Taurus zodiac sign is so great because it reminds us to tune in to nature, take special care of our bodies, and enjoy the pleasures of the physical world. Several years ago, during springtime when the Sun was moving through Taurus–making it Taurus time!–it was really cold here in Chicago. A chilly early spring delayed blooming for the tulips, daffodils, and other spring bulbs and allowed the flowers to last much longer than usual, as if the annual edict to finish their show and shed their blossoms has been suspended. On our block, the Bradford pear trees entered their full glory, with blossoms filling every branch and not a single petal fallen to the ground yet. In the midst of this bounty of new life and beauty, we experienced nature’s other side—the one that balances abundance by bringing cycles and lives to an end. Taurus likes traditions and familiar things because they help bring comfort during hard times. One Saturday in Taurus time, we attended a memorial service for a friend’s father. He had been an accomplished amateur pianist, and condolences and visiting occurred as a CD he had made played in the background. We ate carrot cake (one of his favorites) as we reminisced. The day was cold enough we needed our winter coats, yet so sunny we needed sunglasses, a combination that sums up my feelings of sadness at his passing and my gratitude for the Leo warmth he shared every time we met. Taurus reminds us to enjoy the pleasures of the physical world, while its opposite sign, Scorpio, balances abundance by bringing cycles to an end. Soon after, we attended another memorial service on another blindingly sunny day with winter temperatures, this time for my husband’s uncle, a veteran of World War II. We drove past Joliet to the Abraham Lincoln National Cemetery in Elburn, IL. My husband’s parents waited inside the visitors center as we walked nearby among the uniform rows of white tablets, most of which had been placed in 2006. After all the family had arrived, we drove to another section of the cemetery, where more than a dozen mostly elderly veterans formed an honor guard under a simple shelter. After we sat, the male veterans stood at attention while two female vets unfurled a U.S. flag and held it over a box containing the deceased’s ashes. Then the seven men with rifles shot into the air in unison three times for a 21 gun salute, the women refolded the flag afterward and presented it to my husband’s cousin with thanks for his father’s service, then a bugler played Taps, and finally a vet in kilt and Scottish cap played Amazing Grace on a set of bagpipes as many of us dissolved into tears. This ritual lasted only a few minutes, yet its utter simplicity and solemn dignity made it seem as if time had stopped and taken us…for a moment…into eternity. After returning home, we attended to yet another leave taking. Two doves often used to nest in the space above our front porch light, where my husband built a simple shelter a few years ago to protect them from spring storms that used to blow their nests away. That year, the pair again nested and produced two eggs. About two weeks before the memorial services, we saw the heads of two babies poking up among the twigs but well behind their mama’s protective presence. It gave us the same thrill at new life that inspired us every time the doves succeed with their hatchlings. So we were not prepared for the loss we felt last week when only one baby was visible. A few days later, the baby apparently had grown big enough and took flight, but the dove parents continued to swoop in and around the nest. On our next trip outside, it looked as if the other baby had died, as a large clump of feathers formed a soft curve above the edge of the nest. Yesterday, my husband confirmed that was the case when he got on a stepladder to investigate; with his father’s help, he removed the little bird body and cleaned out all the nest materials. We hope the doves will return someday and nest again. Today, looking out the window at the flowering trees brings me poignant pleasure, knowing that the perfect blossoms will fade and fall as the temperatures rise, just as human bodies must one day pass away. My heart is grieving for three lives that touched me profoundly, in different ways. Yet nature goes on giving us beauty to soothe our heartaches and restore our hopes. And that’s one of the really great things about Taurus. Beauty and new life are always there at Taurus time, and whatever happens, they will always come again.